A Canteen Management System is a facility management system, in which an electronic device is connected to a software, that automates work like maintenance of employee records and generating of reports. A growing number of companies that provide dining facilities have started using canteen management systems for multiple reasons. We discuss these reasons, i.e. the advantages, and also the disadvantages of CMSs in the points to follow. Minimises Food Wastage: Probably the biggest advantage of a canteen management system is that it helps decrease food wastage. 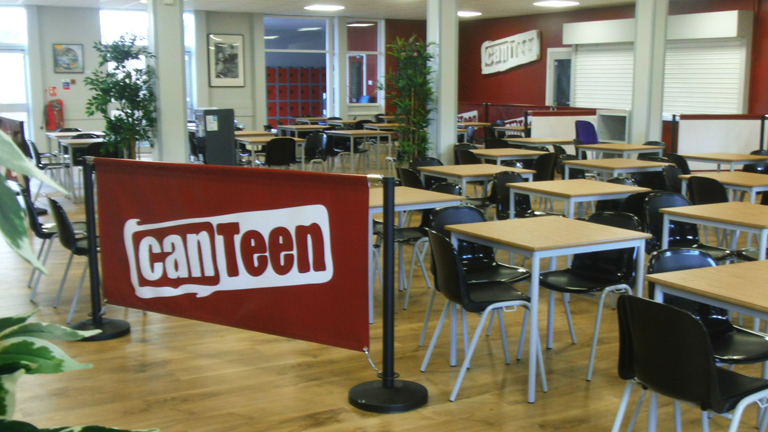 Canteen chefs worldwide have to estimate the quantity of food resources to use on any given day, for cooking. Goes without saying, incorrect estimates mean wastage – and the chances of an estimate being precise are slim. Food wastage means an increase in costs. CMSs provide attendance records of employees, that can be used for calculating the amount of food to be prepared. Prevents Misuse of Canteen Facility: The software authenticates the identities of the employees by verifying their details. An order is placed only after the confirmation of an employee’s unique identity. Employees hence are restricted from placing multiple orders, for companies that like to set a daily limit for canteen use. Organisations providing meals at subsidised rates to their workers can prevent unauthorised individuals from taking advantage of these benefits. Cheap & Easy Maintenance of Records: CMSs maintain employee records, such as the food preparations ordered by them, transactions made, available balance and so on. Not only does automated record-keeping eliminate the need to maintain records manually, it also wipes out manual maintenance costs. Quick Generation of Reports: Canteen management systems generate several reports, such as employee consumption report, item wise consumption report, sales report, etc. The time frame of choice, such as a week, month, or year can be selected for each of these reports. Flexibility: These systems can be employed by both kinds of organisations – those that allow à la carte ordering in their canteens, and those that only provide a fixed menu. À la carte means that people can choose items of their choice from a menu in which items are priced differently. Difficulties in Case of Multiple Locations: If canteens are located in multiple locations, total usage needs to be determined. That’s an arduous task. Efficient Inventory Management: Inventory management is the science of overseeing the ordering and usage, i.e. the inflow and outflow of goods from an inventory. It’s a challenge in case of CMSs since a wide variety of food and packaging materials needs to be timely restocked. Whether a company decides to use a canteen management system or not is a matter of advantages outweighing the disadvantages or vice versa, but CMSs replacing manual work in an increasing number of canteens across the world represents a paradigm shift in business process.